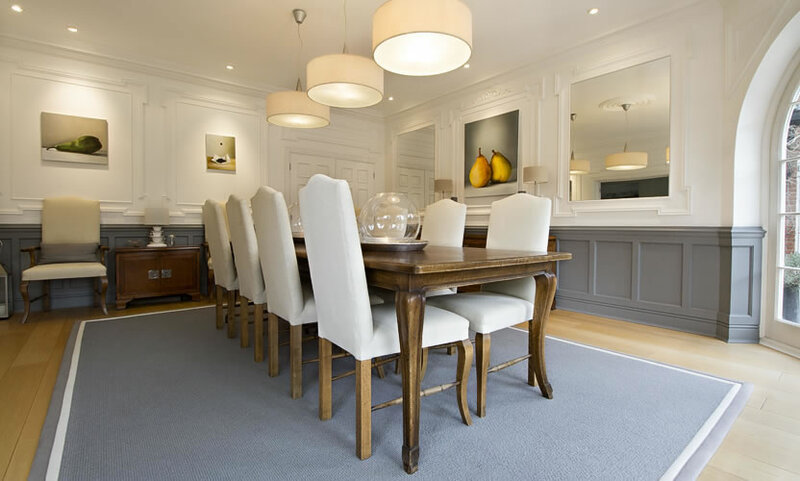 Complete Interior Design, Procurement and Project Management for a Dining room in Cobham, Surrey. The brief was to create a contemporary & stylish formal dining room in a grey, beige & white colour pallet to compliment my clients beautiful art. 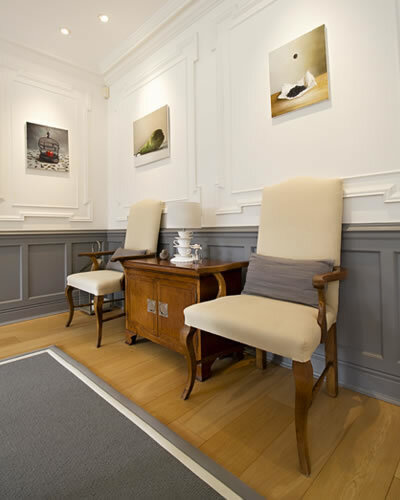 All base panels below the dado were painted a dark grey to add style & warmth to the room, leaving the panelled walls above crisp and white to ensure their art was pride of place with no surrounding distractions. Mirrors were inset in the art free wall panels to add elegance as well as mirror the art and beautiful grounds. 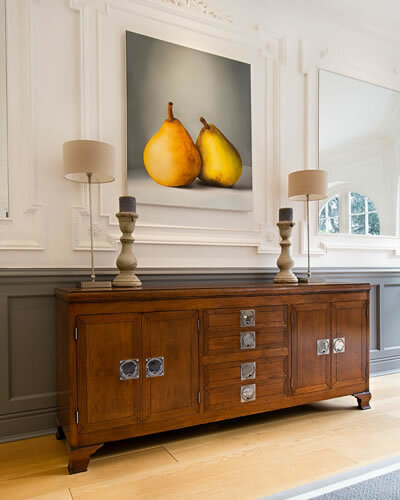 We designed bespoke mahogany sideboards to compliment the dining table, but with a more contemporary accent & enhanced with a warm oak floor as a contrast wood finish. All tied together with three pleated fabric shade feature pendant lights and complimenting table lamps for ambient lighting, perfect for every dining & entertaining occasion.